Professor José Antonio Ocampo will deliver the UNU-WIDER 14th Annual Lecture on 9 December 2010 at the UN headquarters in New York. 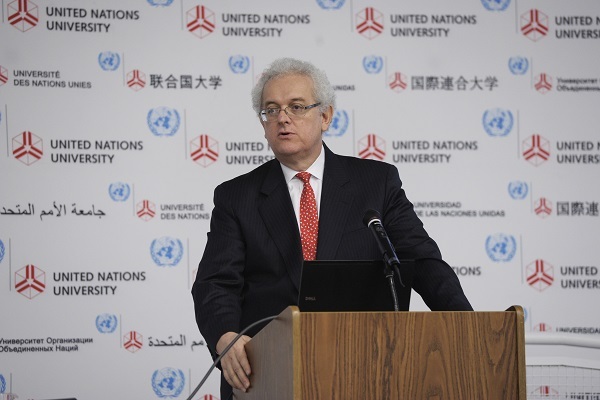 The lecture addresses Reforming the International Monetary and Financial Architecture. Amidst still unsettled financial times, international monetary and financial system reforms are at the center of global debates. 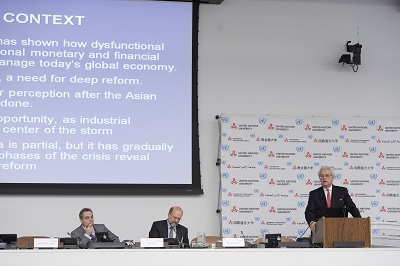 Professor Ocampo looks at the reform agenda from developing countries' perspective. He elaborates that global governance must design a system that not only provides the global public goods necessary to guarantee global macroeconomic financial stability and balanced growth, but also corrects asymmetries that developing countries face under the current architecture. José Antonio Ocampo is professor and director at the Economic and Political Development Program at the School of International and Public Affairs, and Fellow of the Committee on Global Thought at Columbia University. He has occupied numerous positions within the UN, including co-director of the UNDP-OAS Project, ‘Agenda for a Citizens' Democracy in Latin America’, Member of the Commission of Experts of the UN General Assembly on Reforms of the International Monetary and Financial System, and Under-Secretary-General for Economic and Social Affairs. He has received numerous distinctions, including the 2008 Leontief Prize for Advancing the Frontiers of Economic Thought, and the 1988 Alejandro Angel Escobar National Science Award of Colombia. Published extensively, his latest books are Growth and Policy in Developing Countries: A Structuralist Approach, with Lance Taylor and Codrina Rada (2009); and Time for a Visible Hand: Lessons from the 2008 World Financial Crisis, edited with Stephany Griffith-Jones and Joseph E. Stiglitz (2010). Professor Ocampo is from Colombia, and holds a PhD in Economics from Yale University. Selection of images from the WIDER Annual Lecture 14. View the WIDER Annual Lecture on Reforming the International Monetary and Financial Architecture.